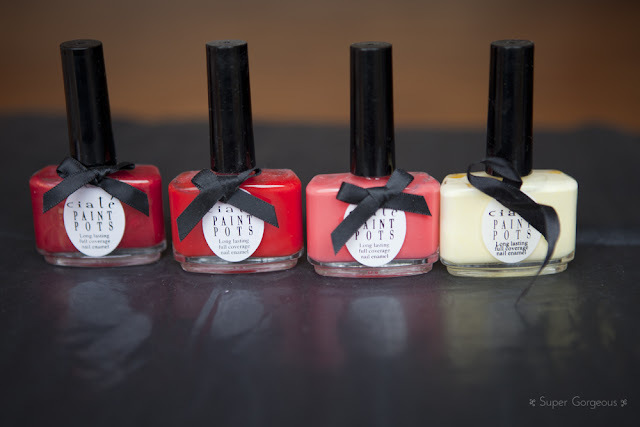 I've had a few requests to show you my collection of nail varnish - so here it is. Well, most of it! 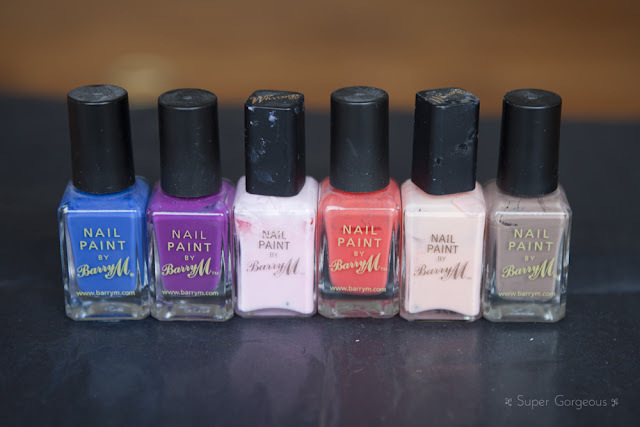 There are some missing I'm sure - off the top of my head Orly Fancy Fuchsia, Butter London Aston, Models Own Red Alert, Nails Inc Jermyn Street and Barry M Nail Effects.... perhaps my sneaky sister 'borrowed' some last time she was babysitting. At least I hope that's where they are! I also have a basket of polishes that I don't wear as often - mostly Spectacular and old school Max Factor - my obsession started when I was young! L-R: DC Cherry Blossom, Shorts Story, Sparrow Me The Drama, Mod About You, Got a Date To-Knight, I Pink I Love You. 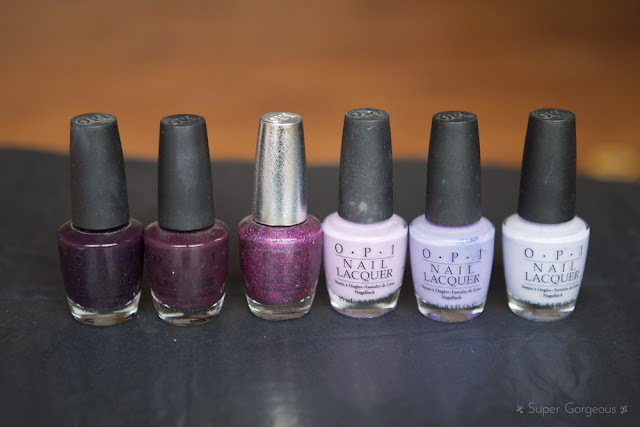 L-R: Lincoln Park After Dark, William Tell Me About OPI, DS Extravagance, Lucky Lucky Lavendar, Do You Lilac It, Rumple's Wiggin'. 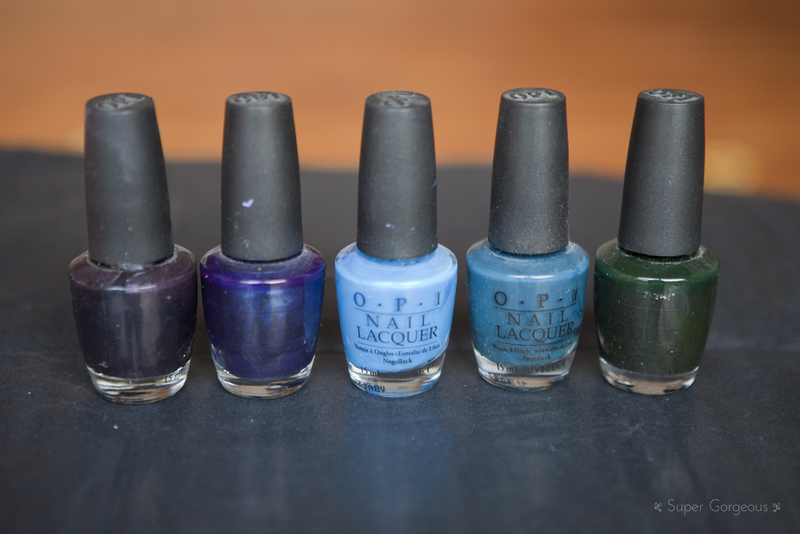 L-R: Light My Sapphire, Yoga-Ta Get This Blue, Ogre-The-Top Blue, Ski Teal We Drop, Here Today... Aragon Tomorrow. L-R: Tickle My France-y, Steady As She Rose, Get Me To The Taj On Time, Sweet Heart. L-R: Unknown (does anyone know what this is?! ), Cajun Shrimp. L-R: I'm With Brad, Special Request, Dark Room, Casting Call. 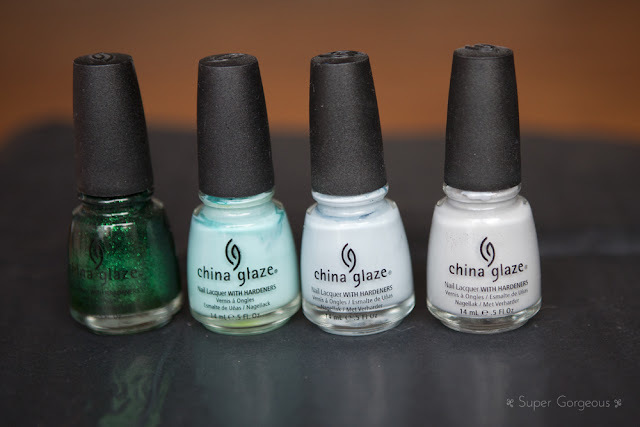 L-R: Emerald Sparkle, For Audrey, Sea Spray, Pelican Gray. L-R: Sew Psyched, Smokin' Hot, Merino Cool, Cute As A Button, Angora Cardi, Van D'Go, Not Just a Pretty Face. 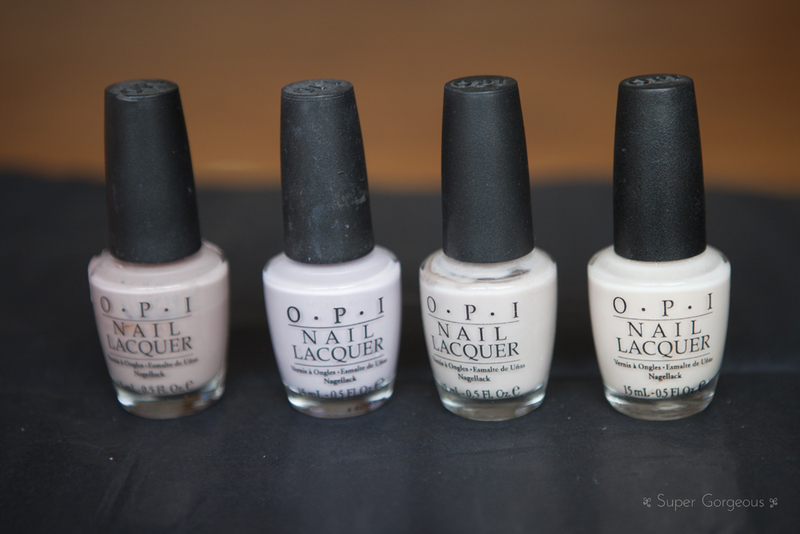 L-R: Ghetto Fabulous, Wait Until Dark, Headliner, Refresher. 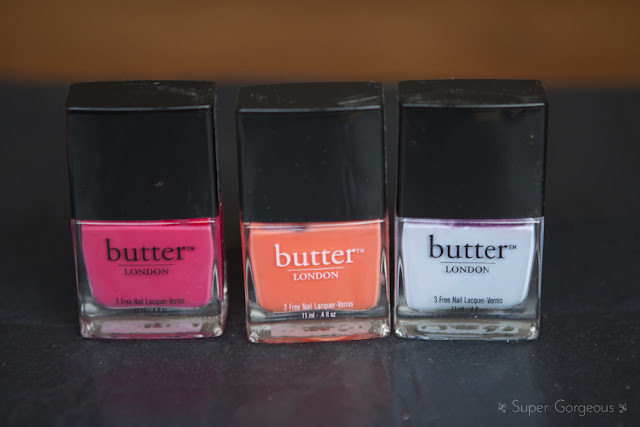 L-R: Kitten Heels, Mistress, Access All Areas, Lemon Sherbert. 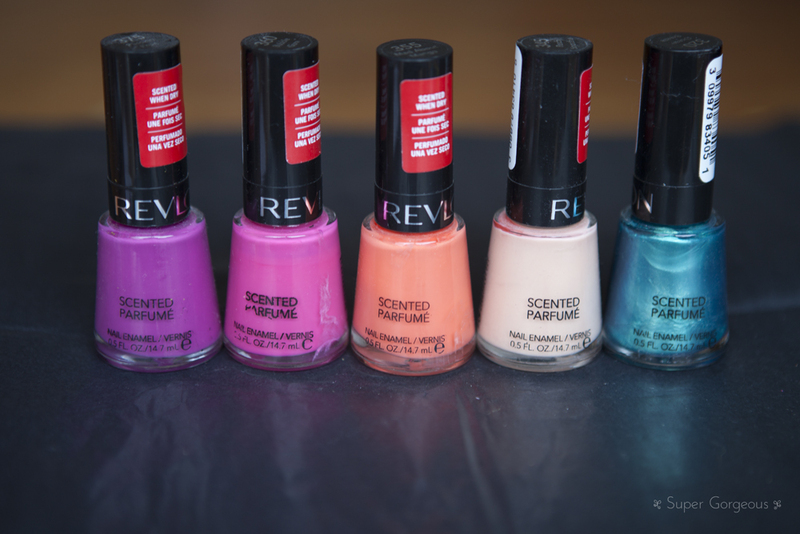 L-R: Passion Fruit, Bubblegum, Mad About Mango, Peach Smoothie, Ocean Breeze. 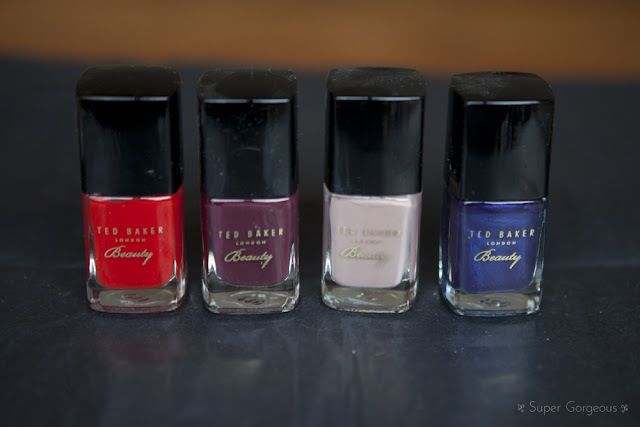 L-R: Revlon Red, Cherries In The Snow, Tropical Temptation, Purple Petal, Lilac Pastelle, Blackest Black. L-R: 11, 21, 22, 19, 12. L-R: Cerise Noir 36, Rouge Escarpin 10, 8, 1. L-R: Victoria, Picadilly Circus, Shoreditch, Copa Cabana, South Molton Street, Electric Teal. L-R: Cobalt Blue, Bright Purple, 119, Coral, 278, Mushroom. 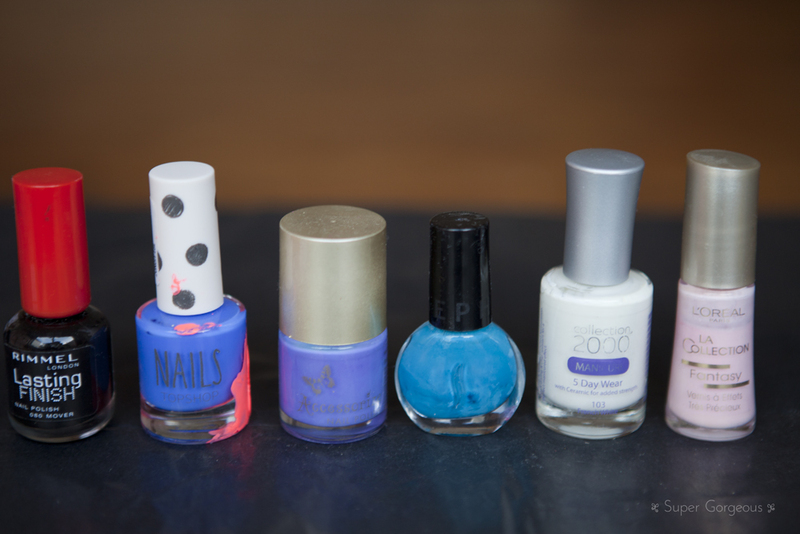 L-R: Betty Blues, Vivid Violet, Violetta, Me! Me! Me! L-R: Raspberry, unknown, unknown, unknown. L-R: No official names, but I like to call them Red, Plum, Taupe and Blue! 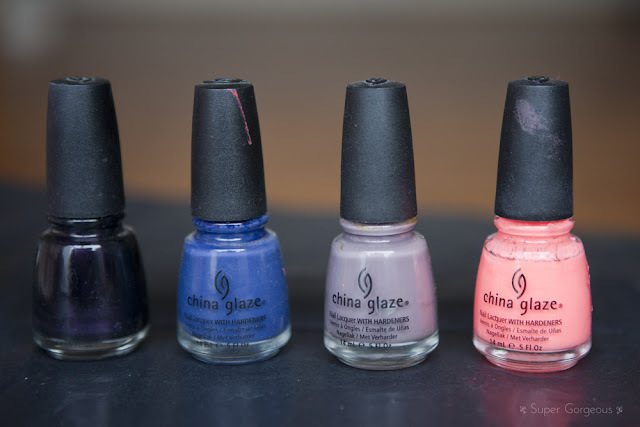 L-R: Rio Nights, Unknown, Life's A Peach. 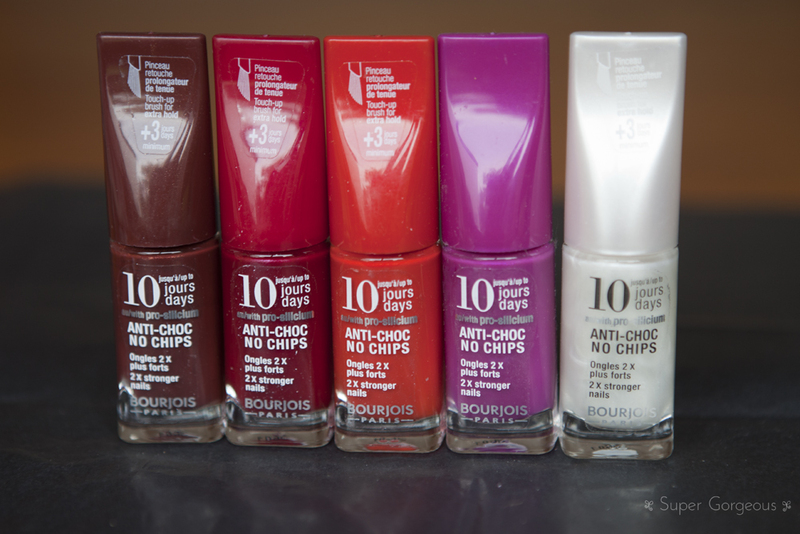 L-R: Raspberry Truffle, Swiss Chocolate. 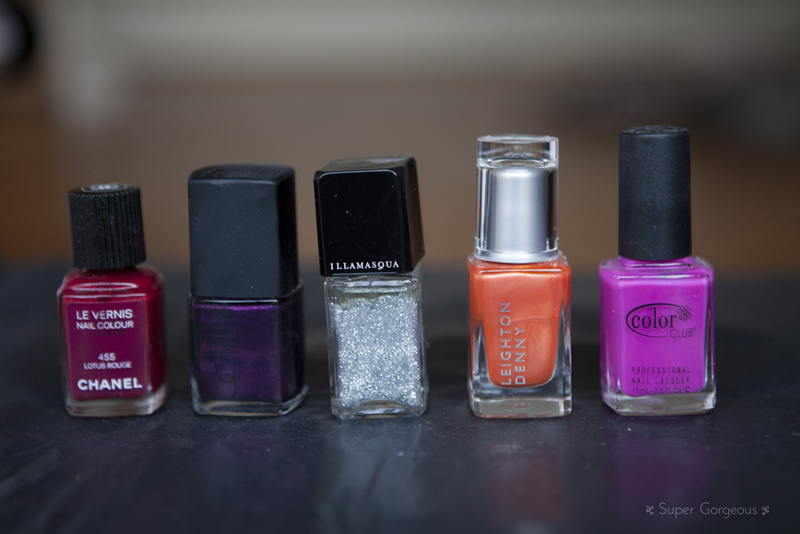 L-R: Rimmel Mover, Topshop AWOL, Accessorize Electric Purple, Sephora Curacoa, Collection 2000 French White, L'Oreal 402. I haven't included any of my base and top coats - but just for reference, at the moment I'm using Nailtiques Formula 2 as a base and Seche Vite as a top coat. 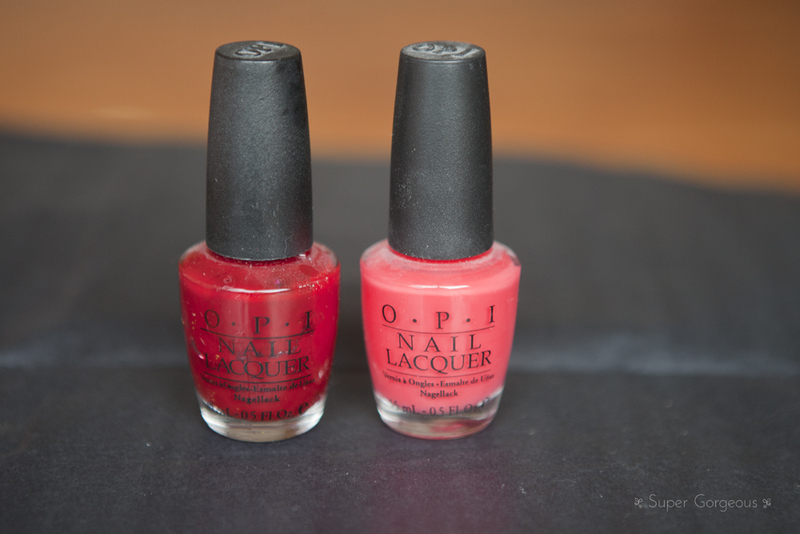 I also use OPI Avoplex. 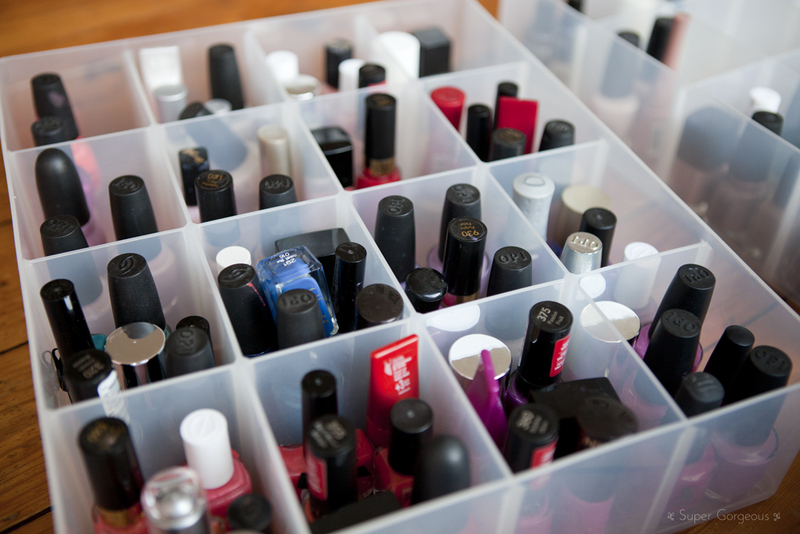 To store all these polishes I use 2 boxes from The Really Useful Box Company, which I bought at Hobbycraft. They are divided into 16 sections, which I use to store my polish in colour groups. 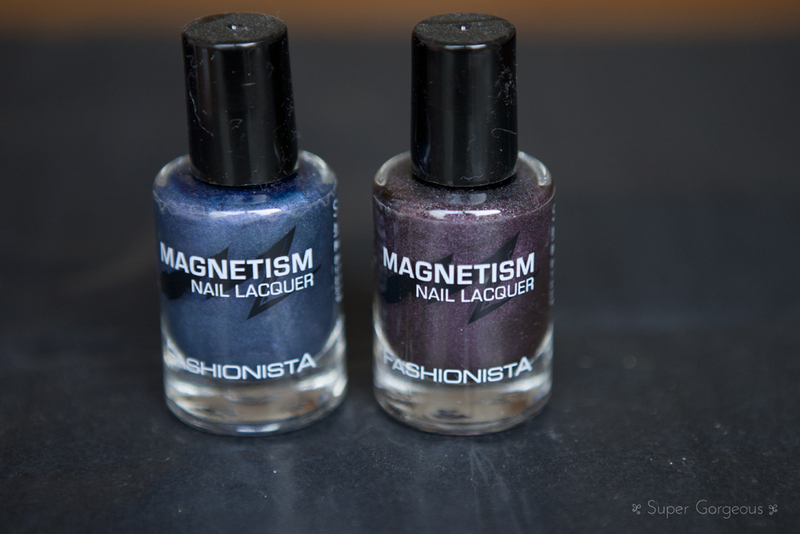 They stack on top of each other nicely and the polishes fit in perfectly! 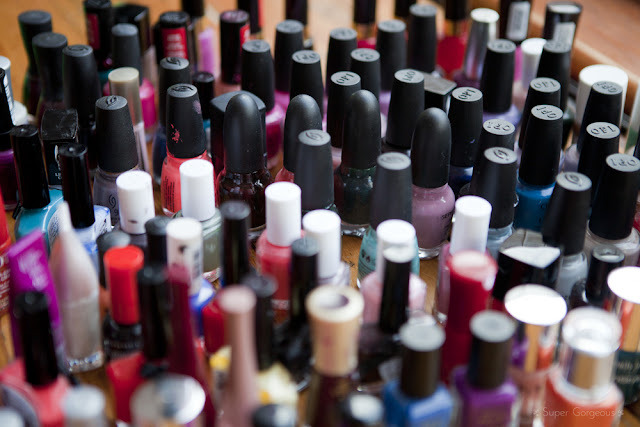 If you think there are any must-have nail polishes that I'm missing, please let me know! 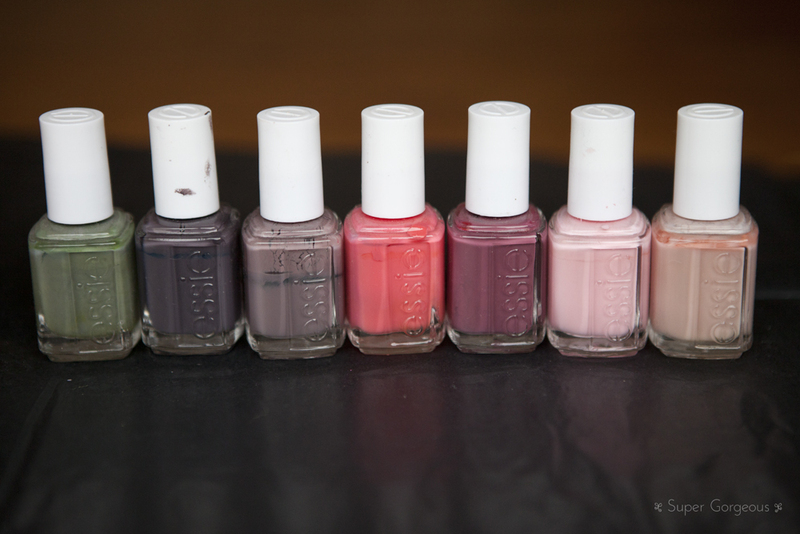 If there are any polishes you'd like me to swatch, please tell me which in the comments box below. Don't forget to check out my ongoing collection of nail polish swatches over at the Facebook page. 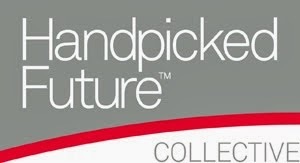 LOVE YOUR COLLECTION! And you store it in such a unique way :) Wish I had half of what you do. I really like your collection! I am planning on doing a collection/storage post as well. Models Own Jade Stone is my all-time favourite polish! 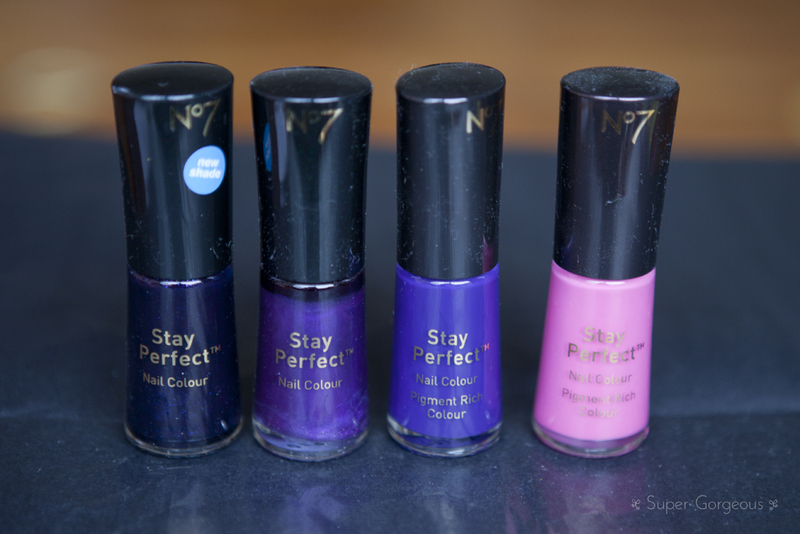 Violetta and Me Me Me by No7 look lovely - would love to see swatches of those! I have Milan which is a gorgeous pink barbie glitter and love the brush so much - will definitely be buying more no7 polishes! Your collection is very impressive!! What a collection! I have never heard of that box company, I will check it out! Thank you!